Negria is a genus with a single species, N. rhabdothamnoides. It is a small tree, growing 6 to 9 m tall with light and brittle wood. Branches are spreading, thickish and brittle. 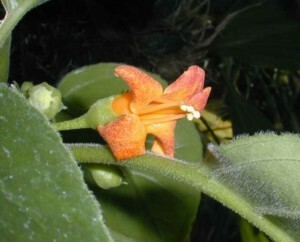 It grows in montane rain forest, and only on Lord Howe Island between Australia and New Zealand.